A storytelling mentor once said there was no such thing as Sick Leave for storytellers. True, but gaps in gigs can help. Fortunately this week I have no bookings, while next week there are four. A broken blood vessel in my eye (a subconjunctival hemorrhage) leaves me looking like a zombie or, at least, a horrible case of pink eye. Thankfully it's not contagious pink eye nor likely to do permanent damage if I'm careful, but it leaves me wanting to curl up in a cave. 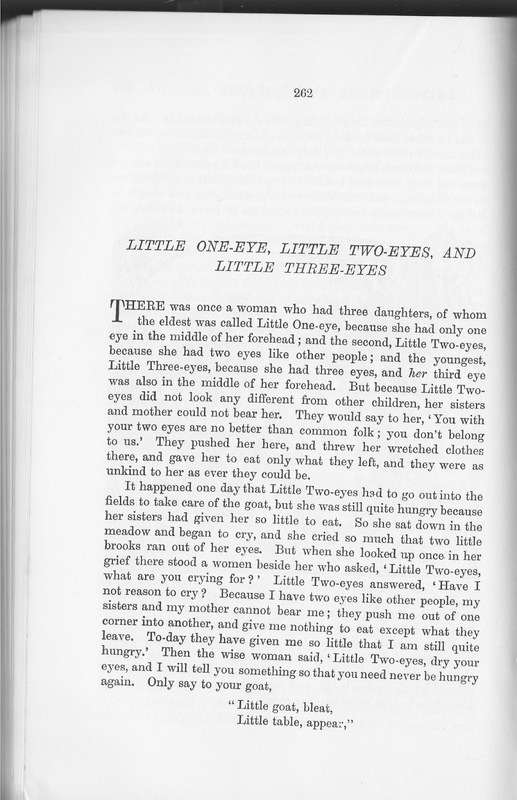 While in that cave, of course, my thoughts turned to stories about the eye. I had one in mind collected by 20th century American folklorist, Richard Chase. It's an Appalachian story, "Old One-Eye", in Grandfather Tales, about an old woman stopping a robbery by accidentally describing a one-eyed robber and his two partners. There are many Americans who keep, unreflectively, a store of traditions which they call, not 'folklore,' but simply the old songs, the old tales, the old ways. And those of us who preserve this heritage are not just Southern Mountain people, nor are we only country folk. We live in every state, and we can be found in large cities as well as out on the lands. Richard Chase, quoted from "Folk?" Los Angeles Free Press 24 Nov. 1964. I find that quote interesting because I was always told he vigorously defended his copyright of the many Appalachian stories and songs (listed on that calendar page) including his making the public aware of Jack Tales. These stories deserve to be kept alive in re-telling. He claimed that he was among those "who preserve this heritage" and yet such a copyright stance would keep those stories out of Public Domain. A side note here, my own works carry a copyright notice, but will grant permission freely to use IF my authorship is acknowledged, complete with source and ways the public can reach me. Chase knew his sources were unaware of the implications of copyright. 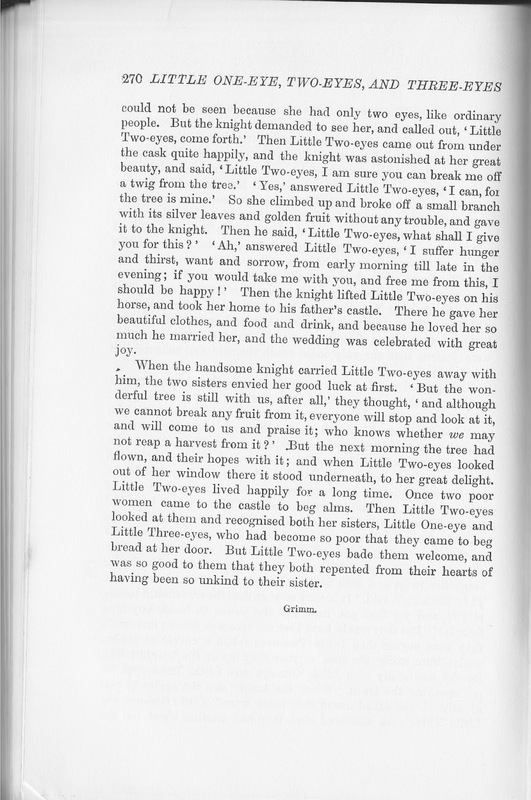 Associate professor of English, Tina L. Hanlon, Ph.D. at Ferrum College in Virginia teaches about Appalachian literature (her website for her academic page is full of wonderful references in both Appalachian and children's literature -- including her Dragons in Children's Literature bibliography page). Not on that page is her Bibliography of Works by and about Richard Chase that she compiled. 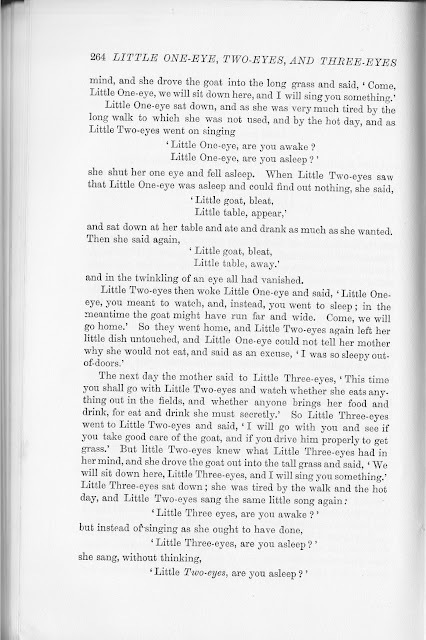 It even gives us the facts about that photo of Chase (at Ferrum College) and a link to her far bigger site, AppLit, Resources for Readers and Teachers of Appalachian Literature for Children and Young Adults. 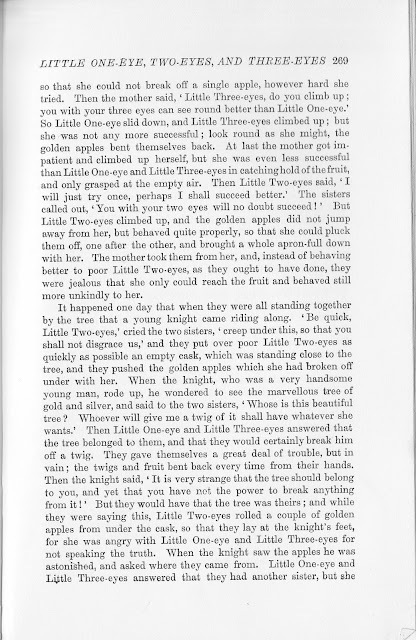 I followed her listing of Appalachian Folktales in Collections to the page where she refers to Chase's tale of "Old One-Eye"-and- Characters with One, Two, and Three Eyes and includes today's story. 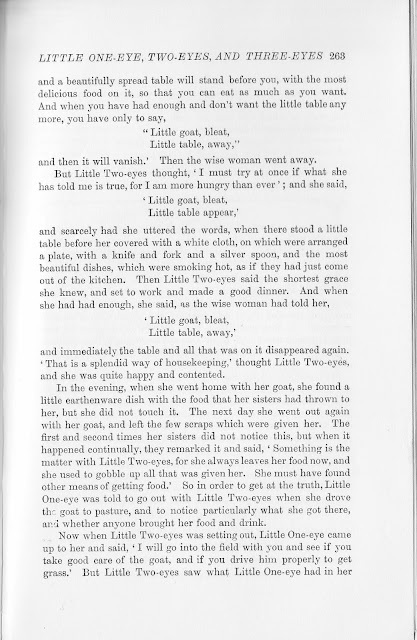 This came only after I had already found today's tale in that gift to Public Domain storytellers, Mary Huse Eastman's Index to Fairy Tales, Myths and Legends. 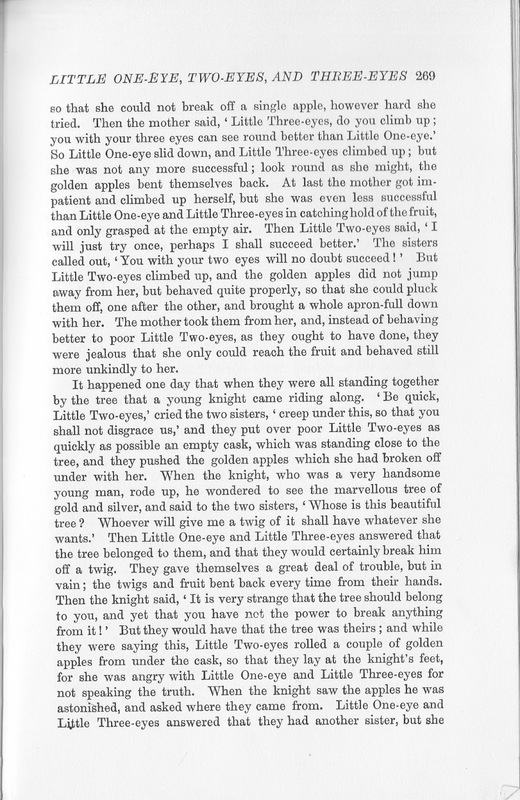 In bringing that original version collected by the Grimm Brothers for today's story, it is a less well known tale. 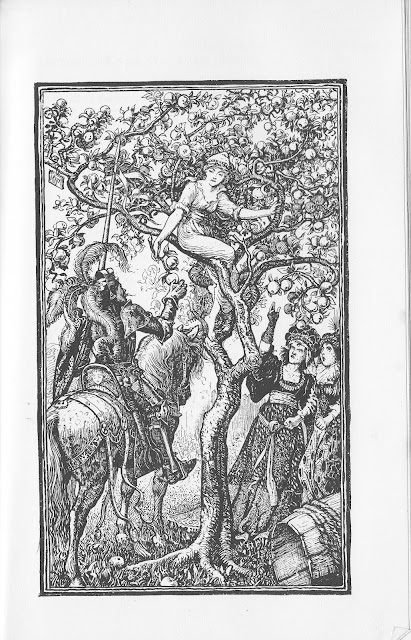 Finding a copy from those listed in Eastman's index, I chose the 1892 version in Andrew Lang's The Green Fairy Book. 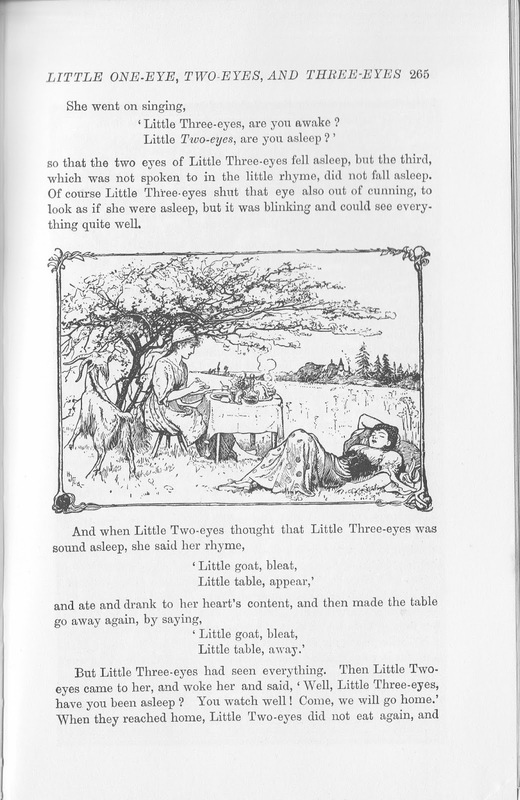 Lang doesn't cite the translator, only crediting "Grimm", but includes the lovely old illustrations by H.J. 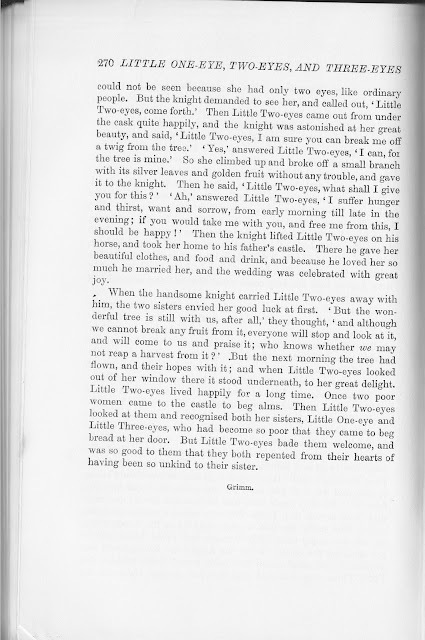 Ford found in all Lang's rainbow fairy books. 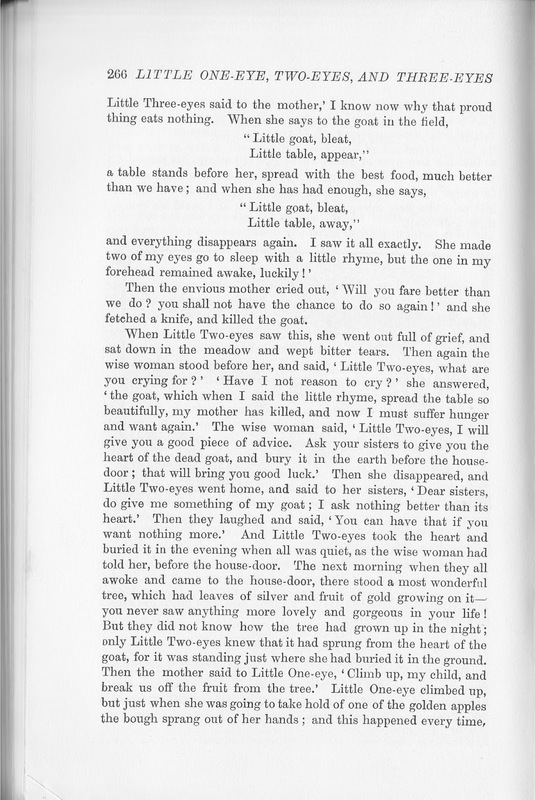 I can't help wondering if this old story found its way into Appalachia and in repeated tellings changed to the version Chase found. 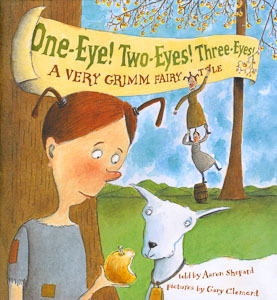 Many folktale motifs are found in this "not so Grimm" tale. 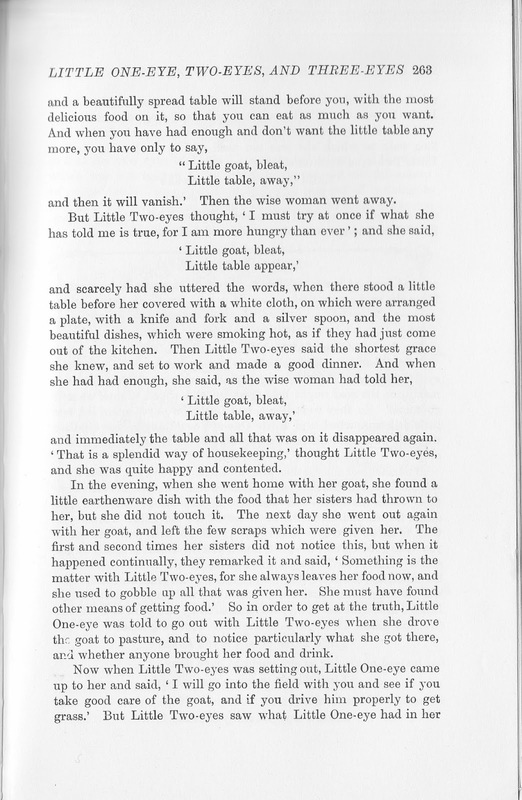 Those tales traveled, as stories do, changing, but still worth Keeping the Public in Public Domain.